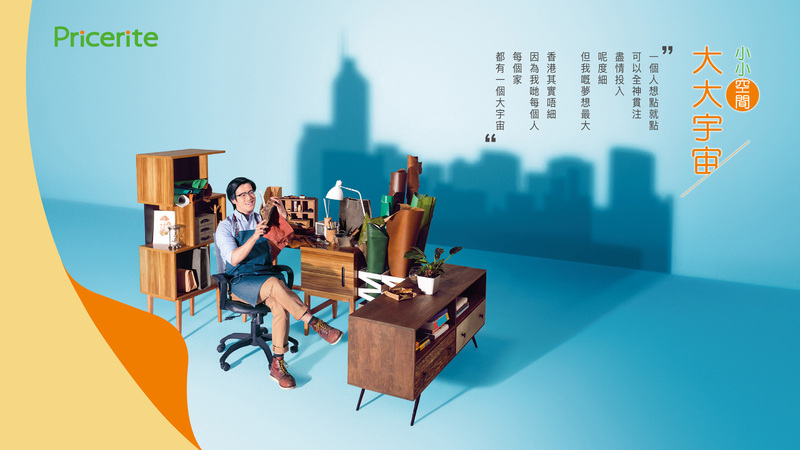 Local home furnishing store Pricerite has launched a new brand campaign to extend its ad theme, “small space, big universe” (小小空間 大大宇宙), and highlight the bright side of small living in Hong Kong. With small living place a norm in Hong Kong, the strategy attempt is to create consumer empathy by focusing on how small can still be beautiful. “Childhood” (小時候), which is a popular local lullaby, was modified and used as a theme song throughout the advert. Pricerite also invited actress Karena Lam as the new spokesperson, as her refreshing image “matches the positive and inspiring brand image of Pricerite”, the brand said in a release. The TV commercial kicks off with Lam singing on the rooftop with the Hong Kong skyline as background. Then she explores how individuals, regardless of limited living space, live on the bright side and achieve their dreams in different life stages. “Hong Kong is a small place and there are many restrictions and challenges, but Hong Kong people are brave enough to take on challenges and look for the bright side. Pricerite’s philosophy is the same as Hong Kong people. 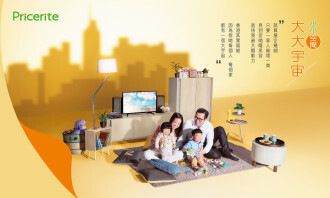 We launch different innovative products to tackle the changes in the Hong Kong living environment, cater to our customers’ needs and enhance their quality of life no matter how limited the space,” said Derek Ng, the CEO of CASH Retail Management Group Limited. A series of print ads were launched simultaneously to extend the story in TV commercial. The 45-sec new TV commercial of Pricerite on-aired on 15 January, 2018, followed by outdoor, print and digital advertising. Also, paid content on technology and the internet, health and electronics found to have highest bounce rates. ..
China still represents a big growth opportunity for all brands but brands need to be more measured and focus on fewer, higher qua.. The local study was part of a larger Asia Pacific effort by Havas Media Group to study and understand each country's Millennials i..